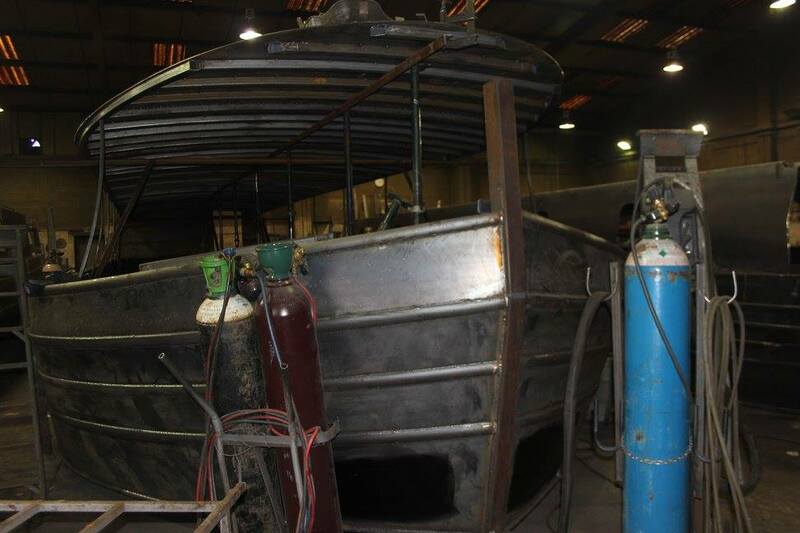 The Barge was completed in just over a year. The Barge Restaurant pride ourselves upon providing a memorable and unique dining experience for the residents and visitors to our North Cornwall paradise. Bude has dozens of fantastic eateries and we are proud to offer something a little different which truly utilises the beauty of our location. We have worked tirelessly to combine the beauty of our breathtaking location, with a menu which sources the best fresh produce to really showcase Cornwall and ensure that we offer a complete dining experience. We prepare all meals aboard The Barge and pride ourselves upon offering a relaxed a welcoming atmosphere for all. 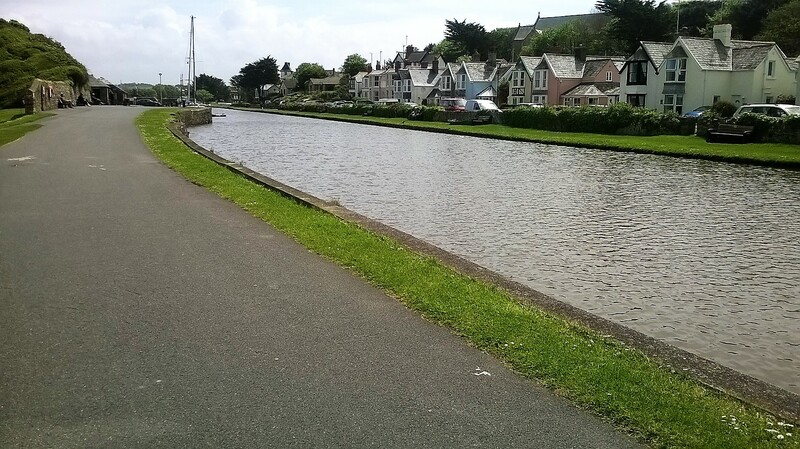 Our eureka moment which formed the concept for placing a barge restaurant in residence upon Bude canal, came from seeing a Schooner Restaurant boat for sale. We thought “This is what Bude needs”! 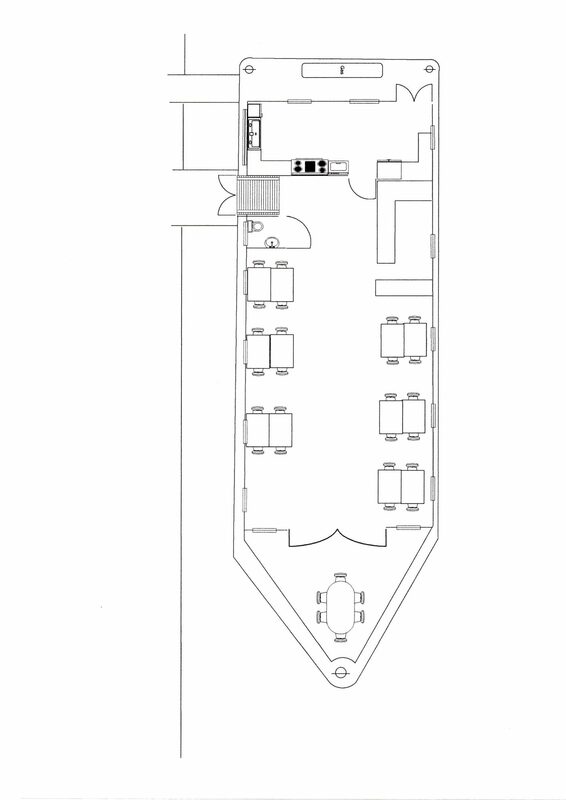 Creating our first plan -The plan can be seen on the left of this page and clearly defines the kitchen (galley), dinning and private dinning areas. Having received the dimensions for the boat we wanted to get an idea for the scale of The Barge by chalking out the canal side. We then had to select a destination where we could be safely moored in winter, whilst giving us access to customer footfall. The month of October also provided us with our first opportunity to visit our new barge and witness the scale of the construction in progress. The turn around time once construction had begun was very impressive and the excitement began to build. Of course behind the scenes we were also working on sourcing local produce suppliers, that would enable our menu to showcase the best ingredients that North Cornwall has to offer. Constructing and installing the roof completed the structural build of The Barge. 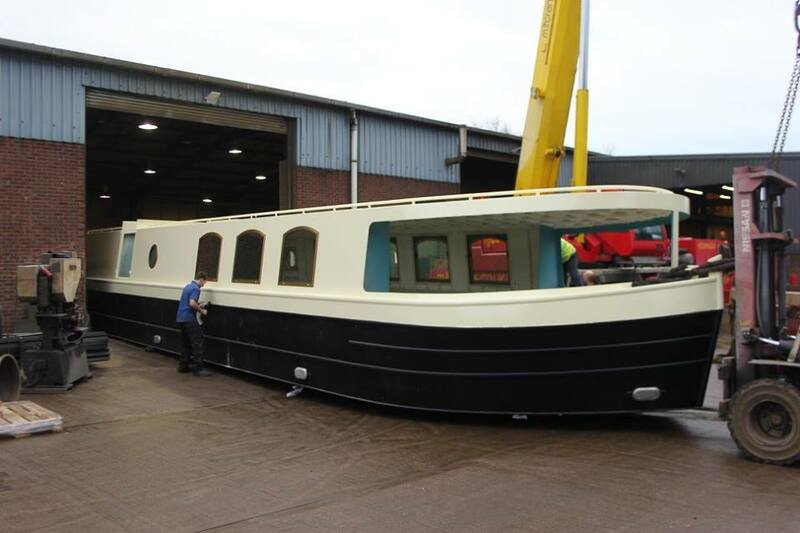 We were then asked to select the colours for The Barge’s paint job. For us this was relatively easy decision, you see we wanted to select a subtle welcoming colour scheme that matched the authentic, contemporary interior decor that we had in mind. 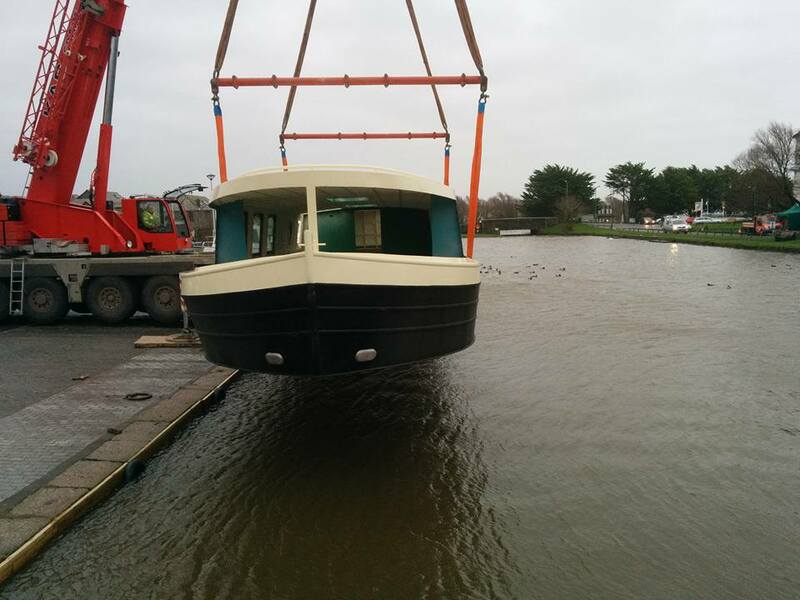 The Barge is finished and rolled out of the workshop, craned onto the lorry, ready for delivery!! 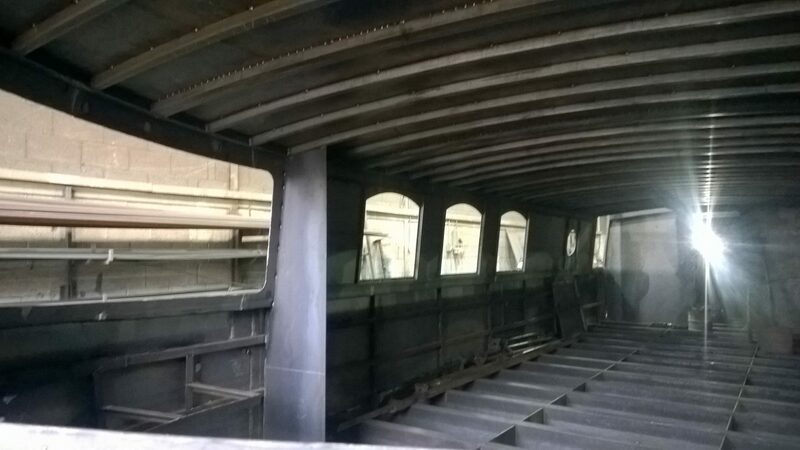 Of course for us, the hard work was about to begin as we were responsible for The Barge’s interior design. This included selecting kitchen appliances, lavatory decor and dinning area fittings. We wanted to provide a warm, welcoming, clean and authentic setting for our dinners to relax and enjoy the majesty of Bude’s surroundings. The Barge is delivered to Bude and craned into the canal. It was a brisk but pleasant day, the excitement for us was tangible and was added to by the crowd that had gathered on The Wharf. It was quite the occasion and testament must be paid to the lorry and crane drivers who placed The Barge in residence safely. So concludes the story of how our Barge was placed onto Bude’s historic canal in North Cornwall. Since April 2016 we have invited customers aboard our Barge, helping us to add to our story whilst ensuring that our customers are enjoying, great customer service and locally sourced produce, placed showcased in freshly prepared dishes, while providing a memorable dinning experience for all.